With an exceptional cast – MAIA MORGENSTERN and MARIUS BODOCHI – “Marina & Ulay” celebrates the overwhelming personality of the superstar Marina Abramović in a dramatic mythology of his extreme, exciting artistic creation. Her life and her work are fascinating. Beyond the strongest and most ambitious achievements in which the artist is always present and “walks through walls”, Marina dares to expose her deepest wounds and bleeds for the love of her life. 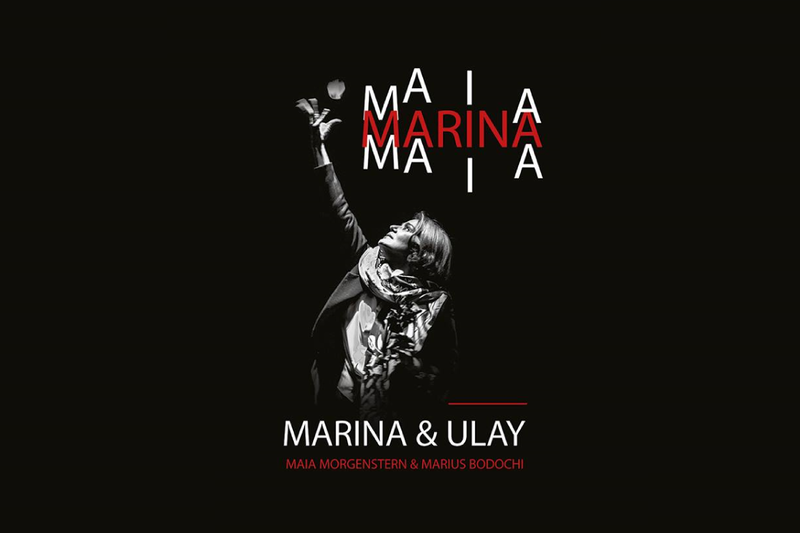 Together with Ulay, Marina is everything. 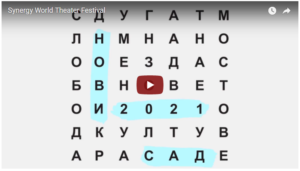 The love story, the artistic mood, the remembrance of some of the most influential artistic performances in history, of the Marina Abramović and Ulay is coming to Synergy World Theater Festival. 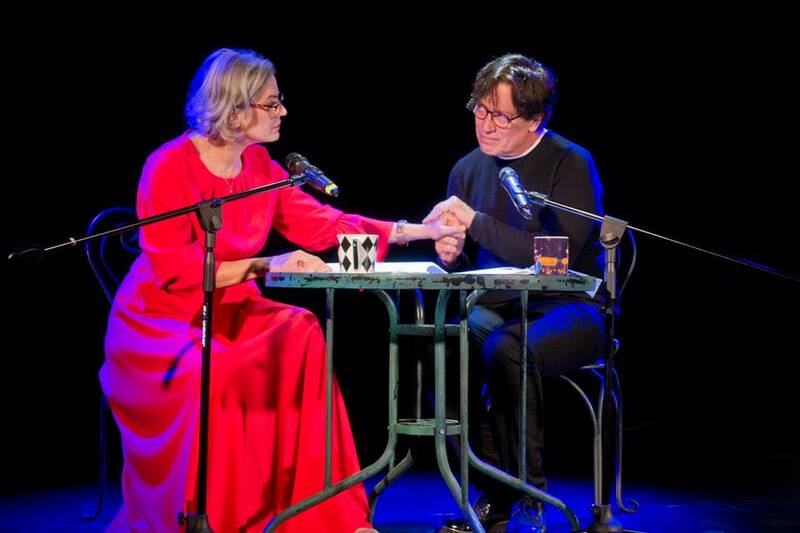 Which actress could better express the creative force and spirit of Marina Abramović than Maia Morgenstern, who is herself a perfect artist, an impetuous presence and exceptional talent of the Romanian and international theatre and film? So did Ulay, Marina’s former life partner, a true artist, but whose work has always been overshadowed by the scandals of his ex-lover, played by Marius Bodochi, a famous well known actor and a landmark of the Romanian theater. 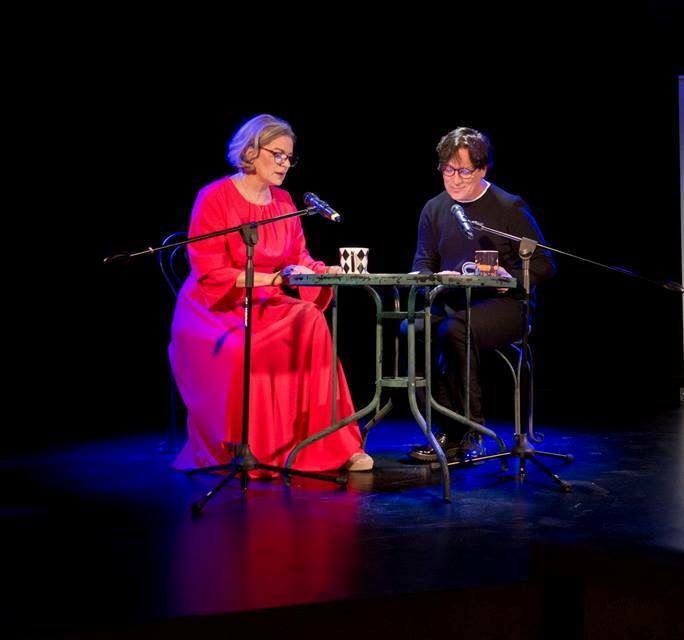 This performance was performed in September 2018 within the exhibition Woman, all too woman at the Art Museum in Timisoara. At this exhibition, Abramović’s famous art installation Balkan Baroque was presented. 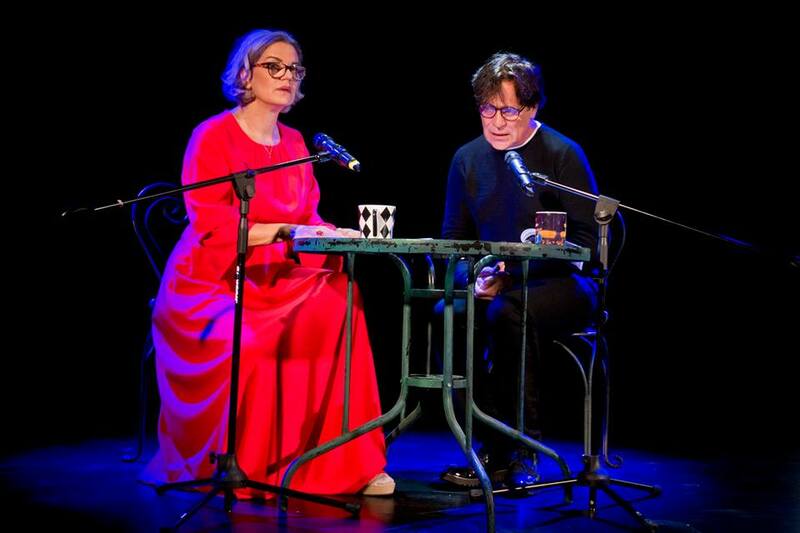 At the end of September, the text of Marina and Ulay was read in Bucharest as part of a workshop at the Romanian Playwrights’ Theater during the Bucharest Days. ,,… Together, Abramović and Ulay made scores of artworks. They include Incision (1978), in which a naked Ulay runs toward a clothed Abramović, only to be pulled back by an elastic rope and, in the same year, AAA-AAA in which the pair scream at one another. Their relationship is symbolised in 1977’s Relation in Time, in which they performed bound together by their braided hair while facing away from one another – for 17 hours.